Diane Van Deren has been selected to be the 2015 recipient of the Invisible Disabilities Association’s “Invisible No More” Perseverance Award. Diane has been chosen based upon her perseverance and strength in overcoming decades of living with epilepsy and the residual neural damage. Thank you Diane for keeping up the fight and being an inspiration for so many on their journeys. Born in Omaha, Nebraska, and raised in Littleton, Colo., Diane left high school early to play on the women’s European pro tennis tour. She then attended University of Texas, Permian Basin, graduating with a degree in speech communications. Diane currently resides in Sedalia, Colo., with her husband and three children. Diane has excelled as an elite athlete in a variety of disciplines throughout her career. As a child, she competed on boys’ baseball teams, showed her horse in local rodeos and won Colorado State Championship titles in both golf and tennis. Being named to the “All State Basketball” team her senior year resulted in college scholarship offers for both basketball and tennis. Collegiate competition allowed Diane to focus on tennis, earning an All-American team designation for her singles play as well as a National Jr. College Doubles Championship. After graduation, Diane traveled throughout the United States and Europe as a sponsored professional tennis player. When she finally settled down to raise a family, Diane shifted into a coaching role, where she inspired positive attitudes and self-confidence amongst young athletes. She balanced organizing neighborhood tennis programs and coaching junior basketball with her own training schedule. 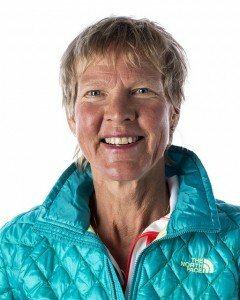 Diane still makes time to compete at the elite level, training with cyclists at the Olympic Training Center, running marathons and – since 2002 – competing in ultra distance events at the professional level. Specifically, in her work with Craig Hospital, Diane raises awareness and funds for the organization through the “Miles for a Mission” initiative. From summer camps for children with epilepsy to black tie fundraisers, Diane has shared her passion as a board member, celebrity spokesperson, camp leader and inspirational keynote speaker nationwide. Diane’s award was presented at the 2015 Awards Gala on October 23rd, 2015.